Early detection and robust treatment are critical to limiting deficits in achieving developmental milestones in HIV-infected infants. Previous studies conducted in US cohorts in presymptomatic infants diagnosed with HIV showed better virologic responses to ART were associated with improved achievement of developmental milestones but were still below national averages in noninfected infants.2-6 As more than 90% of neonatal HIV infections occur in sub-Saharan regions of Africa, where diagnosis does not usually occur until after symptom onset,7-10 the investigators focused on an HIV population from Kenya who were symptomatic prior to receiving ART. A total of 73 HIV-infected infants taking ART (median age 3.7 months) were followed prospectively in comparison to a control group of 92 HIV-unexposed uninfected (HUU) infants (median age 1.6 months), all identified at maternal health clinics or hospitals in Nairobi, Kenya. HIV-infected infants who reached virologic suppression and immune recovery at 6 months showed delays in speech development of approximately 2 months (P =.002), while infants who did not have good response to ART had even greater delays of 5 months (P <.0001). A trend toward a 2-month delay in walking without support at 6 months in the ART-responsive infants increased to 4 months in non-ART-responsive infants. At the time of enrollment, HIV-infected infants were older than HUU infants by an average of 2 months. 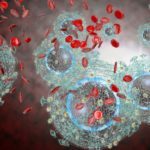 They had a median CD4 percentage of 18%, 41.1% (30 patients) had World Health Organization (WHO) stage 3 or 4 HIV, and 52.1% (38 patients) had already been hospitalized. The investigators hypothesized that incomplete recapture of developmental milestones despite effective ART responses may have been related to infectious infiltration of the central nervous system prior to treatment or to incomplete viral clearance after treatment. These findings support previous research showing that early intervention is the most important factor in retaining cognitive and motor development.11,12 “Altogether, these studies suggest that it is critical to provide additional strategies, such as parenting support for early childhood development, alongside HIV treatment, to help children reach their full potential,” Dr Benki-Nugent said. Smith R, Malee K, Leighty R, et al; Women and Infants Transmission Study Group. Effects of perinatal HIV infection and associated risk factors on cognitive development among young children. Pediatrics. 2006;117:851-862. Laughton B, Cornell M, Grove D, et al. Early antiretroviral therapy improves neurodevelopmental outcomes in infants. AIDS. 2012;26:1685-1690. Does Diabetic Medication Impact HbA1c in HIV-Infected Patients With T2D?